The Israel Scouts Friendship Caravan is making tour stops in Kansas City again this summer. Two performances will be held at the Jewish Community Center in Overland Park on Thursday, July 13 at 2:30 pm and at 7:00 pm. A performance will also be held at the H. Roe Bartle Scout Reservation on Friday, July 14 at 1:00 pm. There is no charge to attend any of these performances. Each show will include songs in Hebrew, English and Yiddish, bringing a lively, fun-filled taste of Israel and International Scouting to Kansas City. 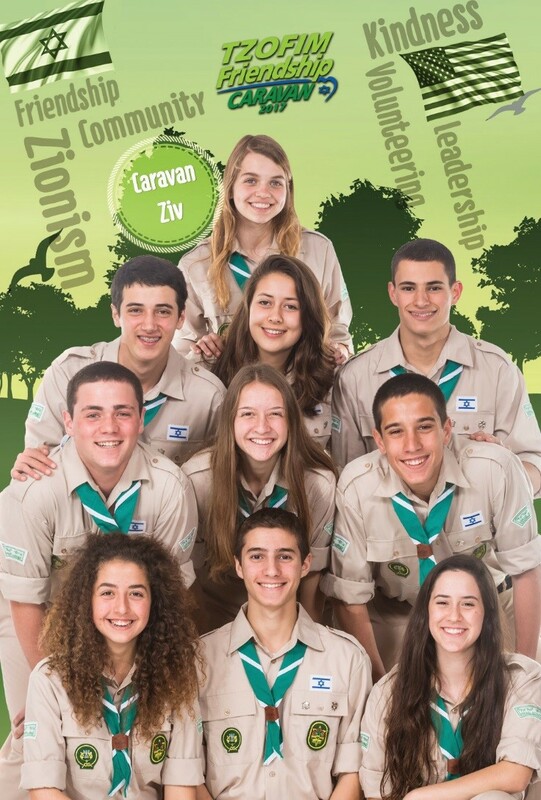 Each Friendship Caravan consists of five male and five female Israeli Scouts. This is the only organized and ongoing Scout entertainment corps program in the world. First started in 1973, it is staffed entirely by Scouts, and travels throughout North America each summer.